FIND YOUR PERFECT TREE IN STYLE! Our hay rides are a great way to check out the farm in style! Rides leave from the entrance on the weekends, starting at 11am (last ride at 4pm). Make it an event and bring the whole family! Sweet treats to stay or take away. 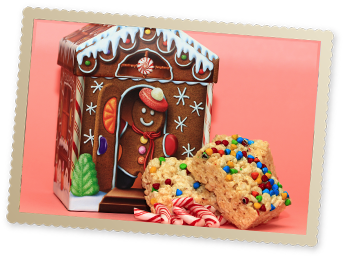 Gifts to share with friends & family! 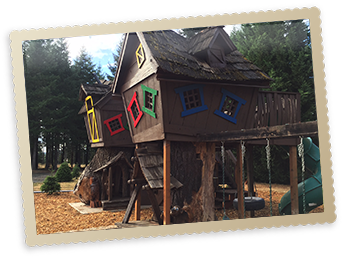 You won't believe your eyes when you see our fun new play structure. There's so much to do on the farm! Each year we bring a food cart to the farm to offer tasty treats. Menus vary, but we'll have something for all appetites and budgets! 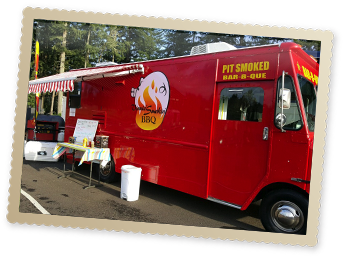 This year Vinnie's Smokin' BBQ will be serving! 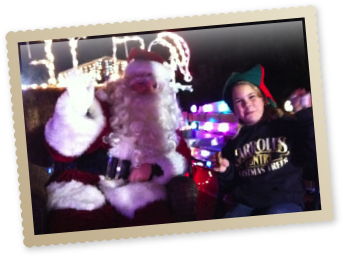 Santa will be stopping by the farm again this year, and we'll have ponies to ride and pet. For information about event times and other details, follow us on Facebook! » Follow Carroll's on Facebook! 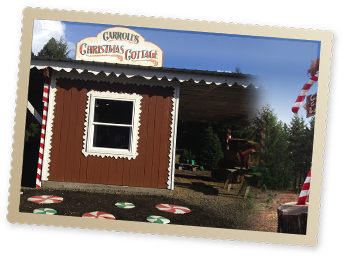 After you pick your perfect Christmas tree, stop by our Christmas Cottage. There's so much going on this year — Merry Christmas from the Carrolls! 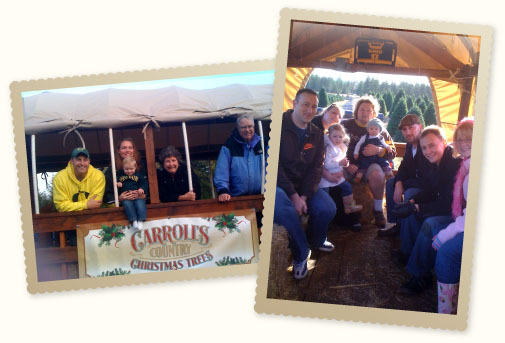 Carrolls Country Christmas Trees makes a beautiful backdrop for a fall or winter family photo session. Call today to schedule: 541-913-3153. Available Monday through Friday 11am - 4pm (no weekends). Only $60 for a 2 hour session!